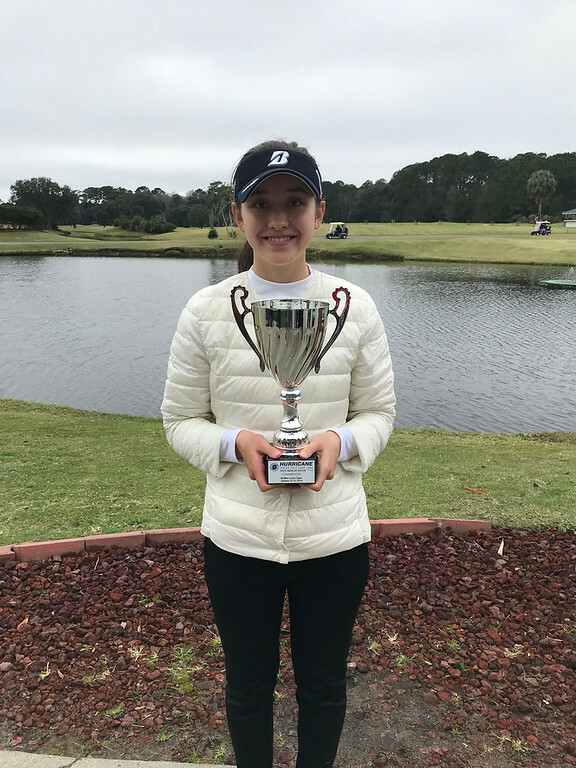 On Saturday, January 12, 2019 – Sunday, January 13, 2019, The Hurricane Junior Golf Tour Powered by the Junior Golf Hub held the Bluffton Junior Open in Bluffton, SC. The tournament was made up of a 36-hole, two-day format and the field was made up of five divisions that included the Tiger Woods Division Boys 16-18,Will Smith Division Boys 14-15, Ernie Els Division Boys 11-13, Justin Timberlake Division Girls 14-18, and Justin Rose Girls U13 Division. To view the full leadberboard click HERE! 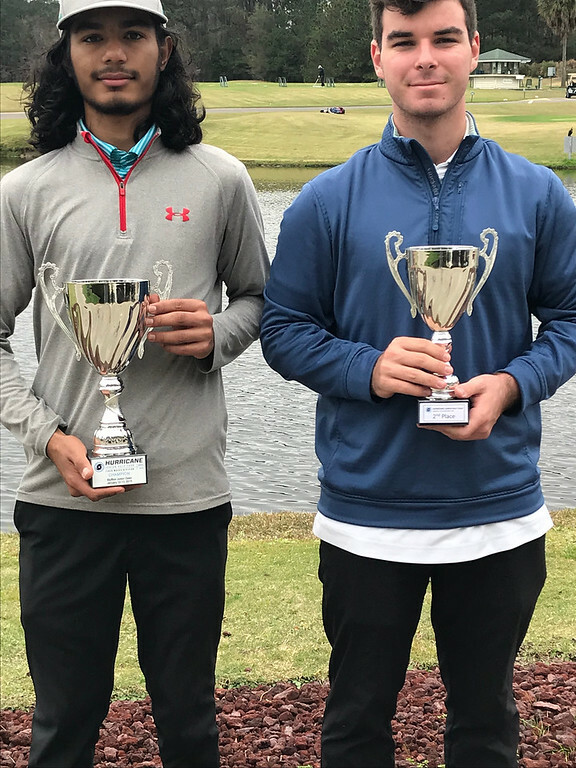 Alessandro Lamarca of Westwood, NJ and Anmol Jhangra of Lawrenceville, GA ended up with a tie for a first-place finish in the Tiger Woods Boys 16-18 Division by scoring a total of 146 strokes. With consistent rounds, they were able to hold off third place finisher Yu Chang Jae of Busan, South Korea by three strokes. 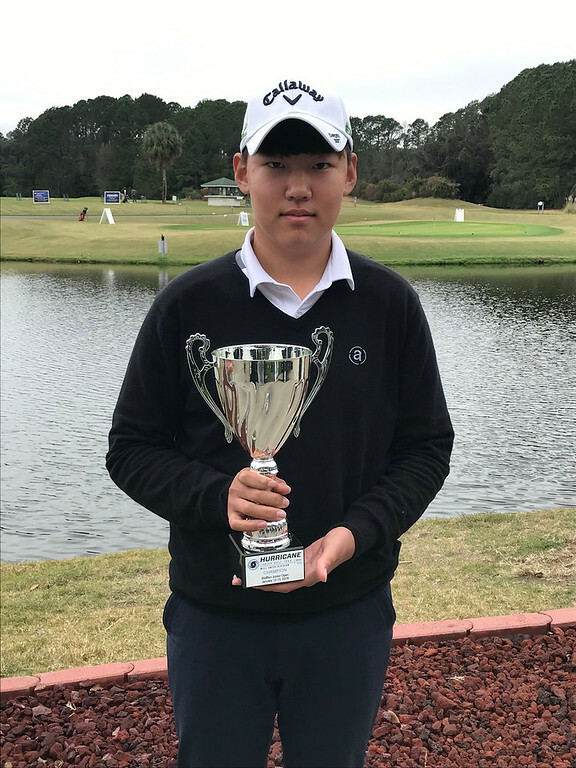 Min Woo Park of Seoul, South Korea captured a first-place finish in the Will Smith Boys 14-18 Division with a two-day total of 156 strokes. Right behind him was Sean Engler of Bluffton, SC who finished out the tournament with 157 strokes. Thomas Ford of Hilton Head, SC made his way into the top three by rounding out the weekend with a grand total of 160 strokes. 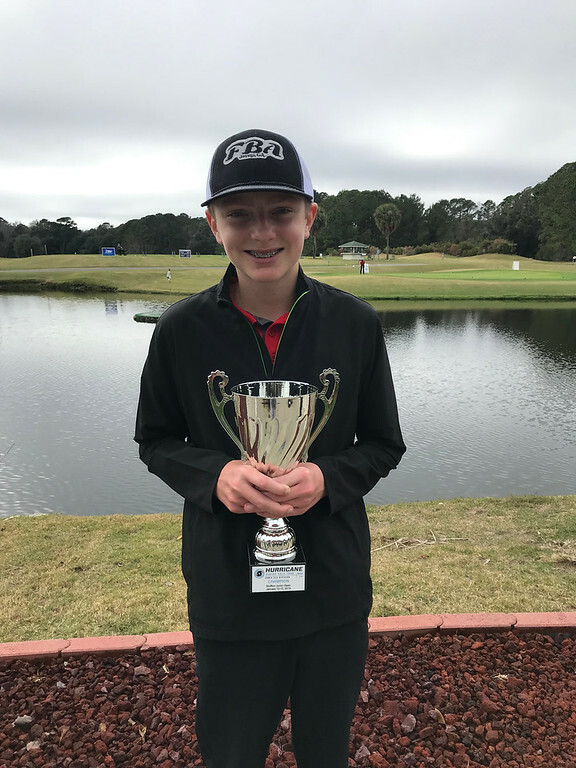 In the Ernie Els Boys 11-13 Division, Finley Burke of Jesup, GA took home the first-place trophy by shooting a two-day total of 164. Will Guthrie of Hilton Head, SC finished in second just two strokes behind Burke. Tag Graziano of Hilton Head, SC captured third place with a grand total of 176 strokes. Kim An Nie of Jeonnam, South Korea had a great weekend and captured first place with a two-day total of 140 strokes. Right behind her in the top three was Ryu Jae Won of Seoul, South Korea and Kim Na Yeong of Seoul, South Korea with a two-day total of 147 and 150 respectively. 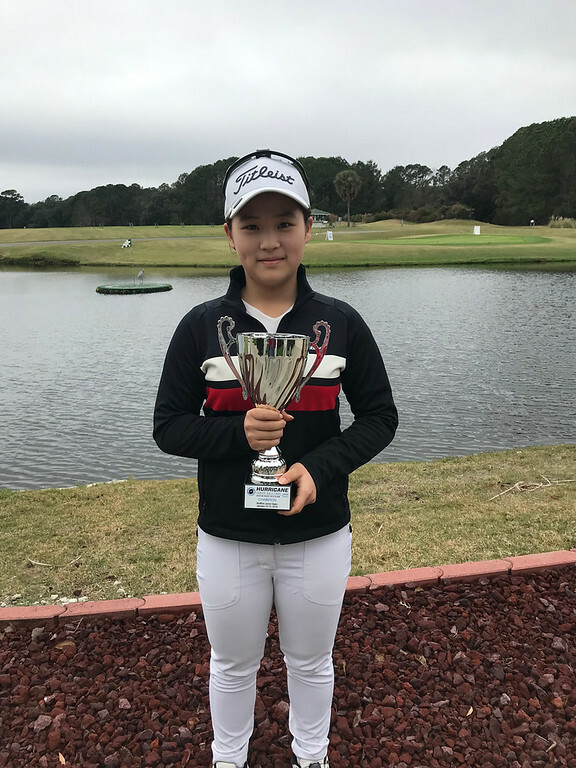 Lee Kyung Eun of Seoul, South Korea did not disappoint in the Justin Rose Girls Under 13 Division as she finished at 141 strokes to win her division over Mary Miller of Savannah, GA who placed second with a total of 146 strokes. Rounding out the division was Cho Eun Chae of Seoul, South Korea who finished out the weekend with 149 strokes.